Kuriyededathu Thathri was a rebel who used her body to lash out at the society. Brashtu the Malayalam novel by Mathambu Kunjukuttan published by DC Books in 1973is a fictionalised treatment of a true event that happened in 1905. 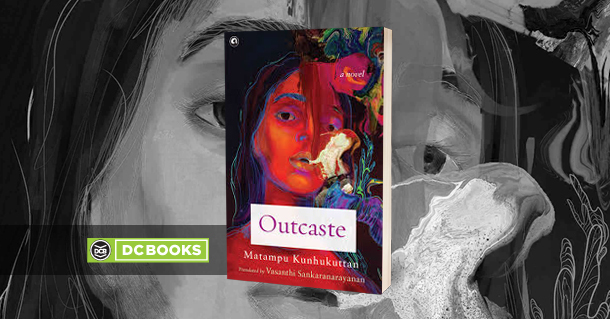 Translated by Vasanthi Sankaranarayanan in English as Outcaste 22 years ago, has now bought out a new edition. The event that took place around a time frame when Namboothiris topped Kerala’s caste hierarchy, 1905 to be precise. Thathri was accused of adultery which was a hideous crime committed considering the rigid customs imposed on Namboothiri women. They lived a life of monotony, seclusion, and inequality. The entire Namboothiri life was patterned to ensure the virginity of the Antherjanam. In those times, the morning ritual bath, chanting of hymns and work in the kitchen were the only activities of the Antherjanam was allowed. Their travel was limited to the temples or to the house of their immediate relatives, but that too had to be accompanied by a maidservant, says Fr. Pallath J. Joseph in Women caste and Discrimination. wherever there are corruption and sin. Thathri is depicted as a fierce woman who demands that the male partners involved be questioned and face the same trials of chastity. She provides the Smarthan who comes in for the trial known as smartavicharam with details of 64 men involved in the act which was against the morals of the society. The evidence was detailed and exacted on her sixty-four lovers, who belonged to the most influential families of the land. The men faced purushavicharam which was unlike to have happened if not for the courage that Thathri possessed.The vengeance of Thathri was a backlash on a community and its customs that were unchecked till the early nineteenth century. It is believed to have weakened the community from within. The recent edition comes with footnotes explaining historical references with details from time frame the novel is set in. It also contains an essay from the scholar J. Devika, a comprehensive note by the author Matampu and the translator. The novel holds relevance as caste still remains as a continuing problem in society.